Here's a BIG BANG we've got for you! 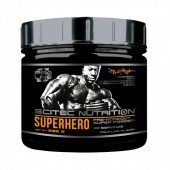 Big Bang 3.0 Pre-workout by Scitec Nutrition is now available here at Rockhard Supplements. 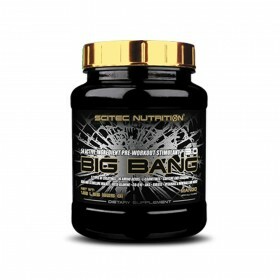 Bigbang from Scitec is a clinically dosed stimulant preworkout supplement that's strong and complex. 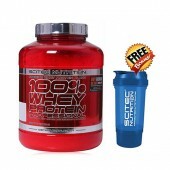 Available in delicious Orange and Mango Flavour and one tub makes 25 Servings. Each serves of Big Bang will just cost you $1.59. Order now online or pop in-store! 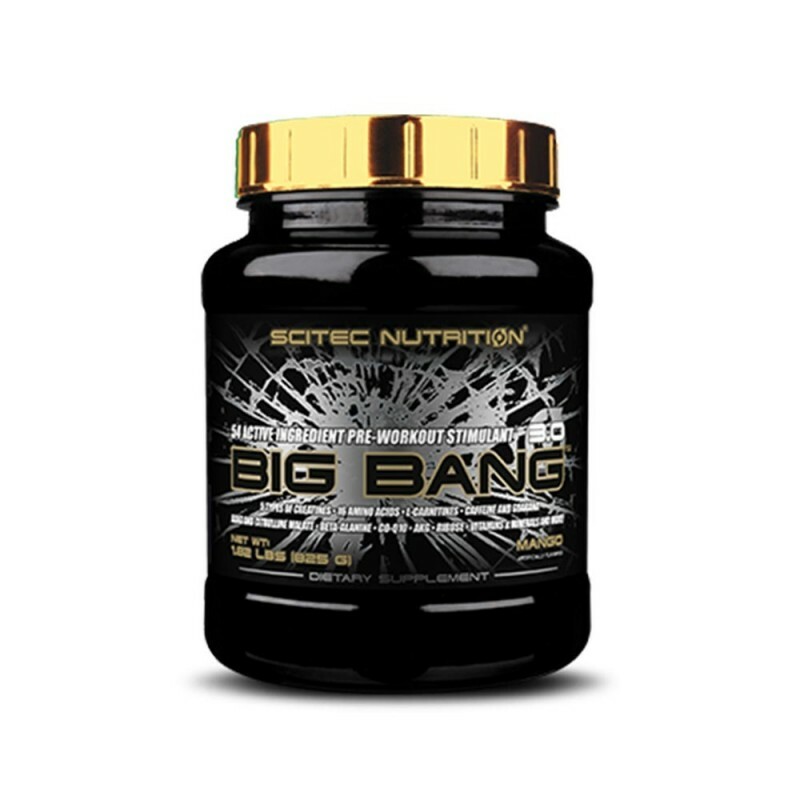 Big Bang by Scitec Nutrition is a stimulant pre-workout supplement made from 54 Active Ingredients and without excessive amounts of carbohydrates. 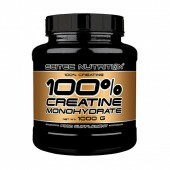 It is designed with different matrix of ingredients such as 7.43g of its Energy Optimization, Anti-Fatigue, Nervous System Support Complex, 6.23g of Multi-Creatine Matrix consisting of 5 types of Creatine, 5.61g of Amino Acid Matrix, 4.1g of Nitric Oxide precursors, 1.97g of StimulBANG Matrix, 1.93 of "G-Bomb" Multi-Glutamine Matrix, 766mg of "Multi-Carn" L-Carnitine Matrix, 227mg of "BIG BANG" Support Complex, and 40mg of "4 ATP" Krebs-cycle Support Matrix. 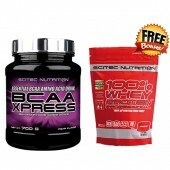 Added L-Carnitine, Citrulline Malate, Beta-alanine, and more! Add 2 and ½ scoops (33 g) to 17 ounces of cold water daily. 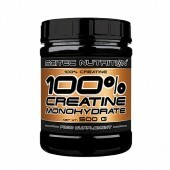 Use 30 minutes before training, preferably on an empty stomach. Individuals sensitive to stimulants should first assess tolerance by taking less than a full serving. 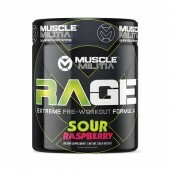 Contains 350 mg of Caffeine per serving – do not take any other stimulants 4 hours prior and after ingesting BIG BANG! KEEP OUT OF REACH OF CHILDREN! Not intended for persons under 18 or women who are pregnant or breastfeeding. As with any supplement, please consult your doctor prior to use. BIG BANG 3.0 is a very strong source of stimulants! Don’t use if you have any medical condition, take any medications. Contains 350 mg caffeine per serving. 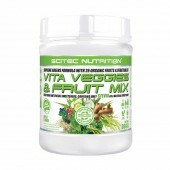 This product also contains an absorption modifier that could affect your medications. Consult your physician before use! Beta-Alanine may cause a harmless, temporary "pins and needles" tingling sensation on the skin. Do not take any other stimulants 4 hours prior and after ingesting BIG BANG! 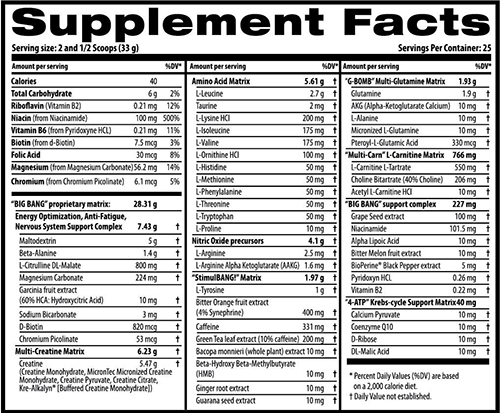 Legal TGA & FDA Disclaimer: Statements regarding dietary supplements have not been evaluated by the FDA or TGA and are not intended to diagnose, treat, cure, or prevent any disease or health condition.